Two speeds are preset for convenient and easy preparation of platelet poor plasma for coagulation studies (high speed) and platelet rich plasma for agglutination studies (low speed). 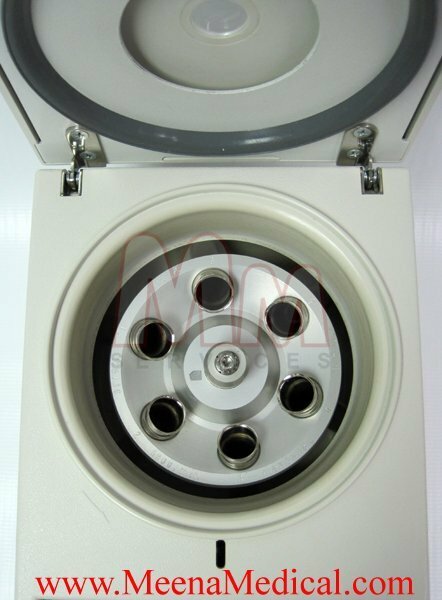 The centrifuge is also useful for preparation of chemistry analyte samples, urine sedimentation, pelleting of genomic DNA, pelleting of cultures and a variety of other applications. The Z 150 A features a molded housing that is rugged and easy to clean. The 6 x 15 ml rotor is supplied as standard. 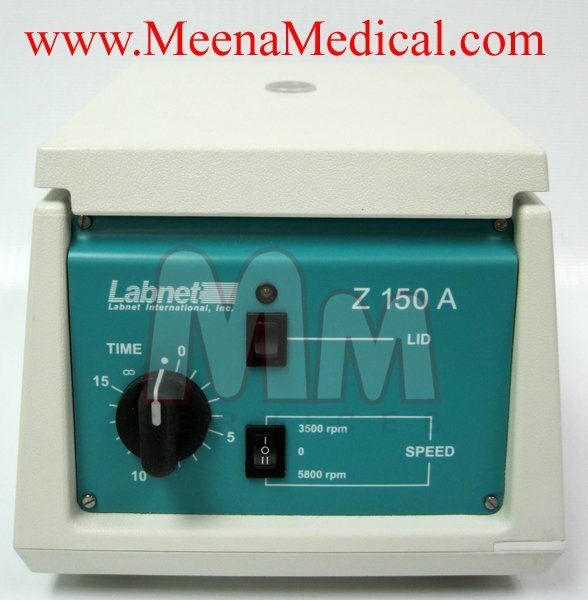 Operation of the centrifuge is controlled by a 15 minute timer. At just 8.6 inches wide, the Z 150 A requires a minimal amount of bench space. 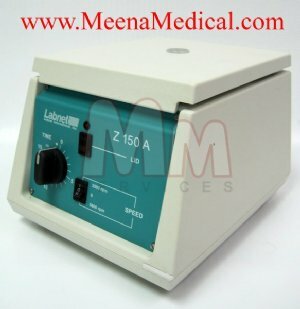 It is a valuable addition to the clinical lab as well as being a good general purpose centrifuge. Timer: 1 to 15 min. / Cont. Weight: 11 lbs. /5 kg.